States have varying regulations and requirements for regarding the sale of mobile homes. Additionally there are different requirements for when an owner sells a mobile home and when a dealer does this on his behalf. Mobile homes are generally considered personal property and in most states fall under the category of motor vehicles. It is essential for both the buyer and seller to consult with local authorities for state-specific legal forms used in mobile-home transactions. The sales contract describes the physical appearance of the home and the amount paid by the buyer. The contract also contains a provision that the seller should refer grievances about the purchase to the seller. If grievances are not solved, the seller may refer them to state authorities. The contract stipulates the right of the buyer to a copy of the contract and copies of warranties covering the home. Most states require a seller to provide a mobile home bill of sale. A bill of sale outlines the rights and responsibilities of both the buyer and seller in the transaction, such as the right of the buyer to have the title transferred to his name, or the right of the seller to know who the mortgage lender is. The seller of the home may also use the mobile home bill of sale as one of the documents that proves ownership of the mobile home. States require presentation of certificates of title as proof of ownership of a mobile home. The certificate of title indicates the owner(s) of the property and the status of the property, such as whether there are liens on it. Lenders and buyers use the certificate of title not only to ascertain ownership but to make decisions on whether the home is worth the asking price. What Is an Escrow License? In some mobile home communities, salesmen or dealers are in charge of selling homes for owners. State laws require that dealers possess licensure to engage in transactions such as advertising a home for sale, publishing the home in listings and showing the home to prospective buyers. 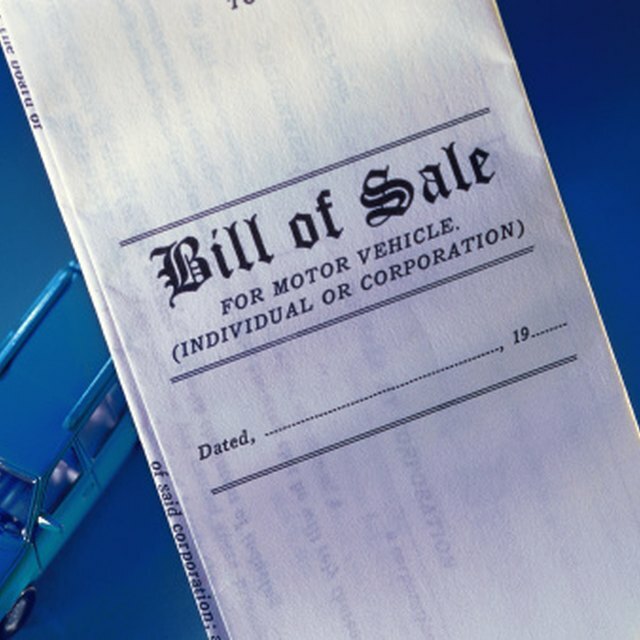 Dealers also require licensure to engage in legal transactions on behalf of a seller, such as payment of property and sales tax. Diana Wicks is a Canadian residing in Vancouver. She began writing in 2004 while still a student at Lincoln School of Journalism, in the city of London. She has worked as Chief Editor of Business Chronicle, an online magazine based in London. Wicks holds a Bachelor of Arts (Honors) in journalism and a Master of Business Administration from the London School of Economics.